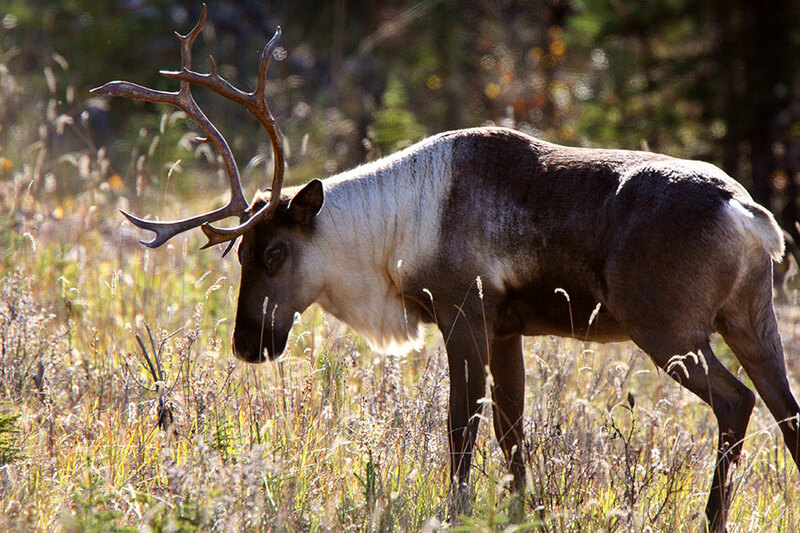 In British Columbia biologists and stakeholders are focusing on the causes for declining woodland caribou herds. It is estimated that there are only 19,000 caribou in the province today, congregated in 54 herds, residing in three types of habitat. All six of the boreal herds and 23 of the southern mountain herds are decreasing. Of the herds in BC, 14 have fewer than 25 animals. The main threat to most caribou populations is a high rate of predation by wolves, bears and cougars that is out of balance from the natural cycle. This can happen when natural events (forest fires) and human activity (such as logging, mining) convert large areas of mature forests to young forest landscapes. These young, open forests provide ideal foods for deer, elk and moose. These ungulate species are the primary prey of wolves and cougar. As these primary prey species move into caribou habitat, they are followed by wolves, which then hunt the caribou as a secondary prey.